Les Arcs is situated on the edge of the Vanoise national park, and is part of the Paradiski ski area. Les Arcs itself consists of a number of different villages, many named after the altitude at which they sit: Les Arcs 1600, Les Arcs 1800, Les Arcs 1950 and Les Arcs 2000. There are also a number of nearby villages which are also part of the Les Arcs ski area which include Vallandry, Peisey, Plan Peisey, Villaroger, Nancroix and Landry.This expansive resort offers a vast array of runs for all levels of skiers and boarders with over 210kms of pistes in Les Arcs alone. Beautiful open pistes surround Les Arcs 2000 and 1950, in contrast to the tree lined pistes in Les Arcs 1800, 1600 and Vallandry. Les Arcs is renowned as an intermediate’s paradise due to the high number of blues runs across the valley. However, that said, you will find everything across the different levels and resorts within Les Arcs. And with the Vanoise Express linking the resort up to La Plagne and the rest of the Paradiski’s 425kms of pistes, there’s plenty to keep you busy! Find the lesson that suits you in our Peisey Vallandry Ski School or our Les Arcs 2000 Ski School. It’s about a 9hr drive once in France to reach Les Arcs. The benefits of driving are no luggage restrictions and the option of an extra day skiing during a week’s holiday but the tolls can be quite pricey on the motorways so something to consider. Trains leave from St Pancras International in London and Ashford in Kent, direct to Bourg-Saint-Maurice then you can use the funicular and the free shuttle buses to get around Les Arcs area. Catered ski chalets at sensible prices in Les Arcs. Ski holidays from this trusted British tour operator. Beautiful alpine chalets in the traditional village of Pesiey-Nancroix. Quality chalets and apartments in Peisey-Vallandry. One of the friendliest chalet/hotels companies around. In Vallandry Ski Olympic run the chalet La Foret. 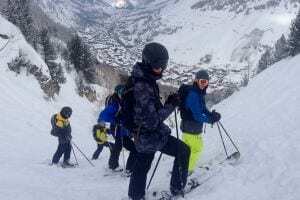 Independent chalet company – run by experienced and enthusiastic skiers. The first chalet operator to open in Peisey. Great value skiing holidays for everyone. A selection of chalets to choose from for great value ski holidays. A family run catered chalet company with 10 chalets in the Les Arcs, La Plagne area. Traditional, catered chalets in France’s top resorts. White Stripe Mountain Lodge’s Chalet Iris is an independently run ski chalet in the heart of Paradiski – a real home-from-home in the mountains. Family run catered chalets in Peisey-Vallandry, Les Arcs, in traditional snow-sure villages of Peisey and Nancroix. Personalized ski holiday and short ski breaks. Catered and self-catered chalets & apartments in the French Alps. 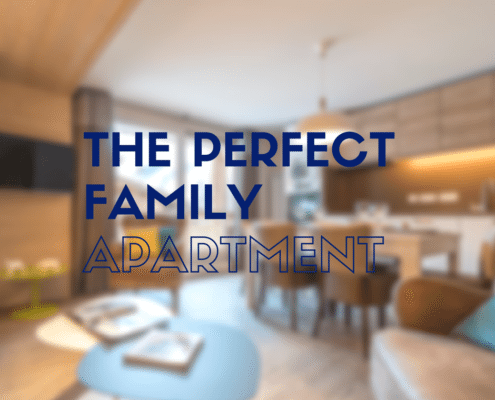 A website specialising in self-catering chalets and apartments across the world’s top ski resorts. 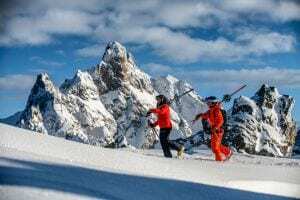 Ski deals and cheap holidays with the biggest tour operators in Les Arcs. 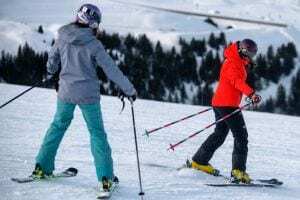 Where can I get my ski or snowboard equipment? We recommend a few ski shops that offer high quality equipment to help you become a better and happier skier or boarder. The only ski shop situated right by the funicular link up to Les Arcs, just 5 minutes from Les Arcs. Friendly, helpful team to kit you out as quickly and as enjoyably as possible to get your holiday off on the right foot! All New Generation clients receive 25% off any reservation. Just provide the Polaire Star team your reference booking number. Located in both Vallandry and Plan Peisey. Wide range of equipment for skiing and snowboarding. Good online discounts for pre-booking, central location in both villages. Webcams can be found on the official Les Arcs website. Where can I find more information about Les Arcs? The official website of the local tourist board. A useful website with information about the best places to ski, eat and drink. What services are available in Les Arcs? Doctors – Head to the main medical center, just as you come into the Les Arcs 1950 village it will be on your left. Also in Plan Peisey is the Cabinet Médical, Quartier du Soleil. The medical center is located in the middle of the resort, just by the pharmacy. They provide general medicine, sports medicine, and radiology. Pharmacy – Para Store located at Place Olympique Résidence Les Lanchettes Arc 200. In Peisey-Vallandry there is a Pharmacie de l’Ours Neige et Soleil. 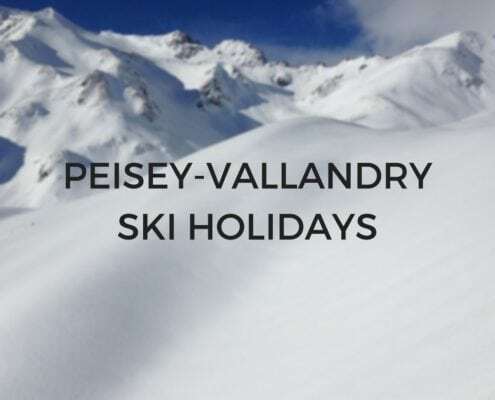 What non-skiing activities are there in Les Arcs and Peisey-Vallandry? There’s plenty to keep non-skiers busy in Les Arcs. From tobogganing to paragliding, dog sledding to the or igloo village, there is something for everyone in your group. Mille8 – La Piscine – Arc 1800: This huge 3800m² centre incorporates an outdoor and indoor swimming pool, water jets, bubble beds, massage jets, fitness room with gym and cardio equipment, spa with 2 steam rooms and 2 saunas, relaxation room and showers. Centre Équestre Ranch El Colorado: The “Ranch El Colorado” equestrian centre is open all year round and offers activities based around the horse in an enjoyable atmosphere: rides, riding lessons and courses. carriage driving, ski jeering and riding shows. Other activities you can try out are snowshoeing, walking routes, spas, visits to churches and chapels as well as Baroque Paths, farm visits, and much more. You can find more details here. George’s Wine Bar located in Arc 1950 is definitely one of our favourite places. The landlord George is known to happily pick up his guitar and play for customers who enjoy a sing-song! You can find a number of bars and restaurants in Les Arcs depending on what you’re looking for.